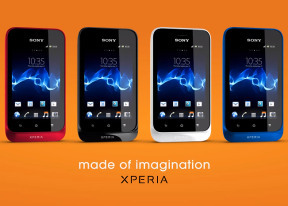 The Sony Xperia tipo comes with an HVGA LCD, measuring 3.2 inches in diagonal. The screen is nothing to write home about. It hasn't got the image-enhancing Bravia engine either: so we are in for some old-school experience here. To be fair though, the competition doesn't really offer much more in this price range. The tipo's display has average viewing angles and sunlight legibility. Here go the Xperia tipo results from our traditional display tests. You can find more about the testing routine here. The phone allows a good grip and is comfortably pocketable. There are no build quality issues to warn against, though it does take some time to get used to the finish of the battery cover. 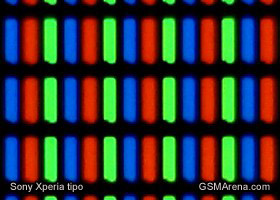 This is the smallest screen to have on a Sony smartphone, and probably the cheapest - no Bravia engine and such. It's par for the course though, in terms of resolution and size. The Sony Xperia tipo software overview is coming up.